april 23 - needed this. april 24 - felt so good to carve out time for these small, simple things. april 25 - made me happy. april 26 - for hours and hours while the storm rolled in. 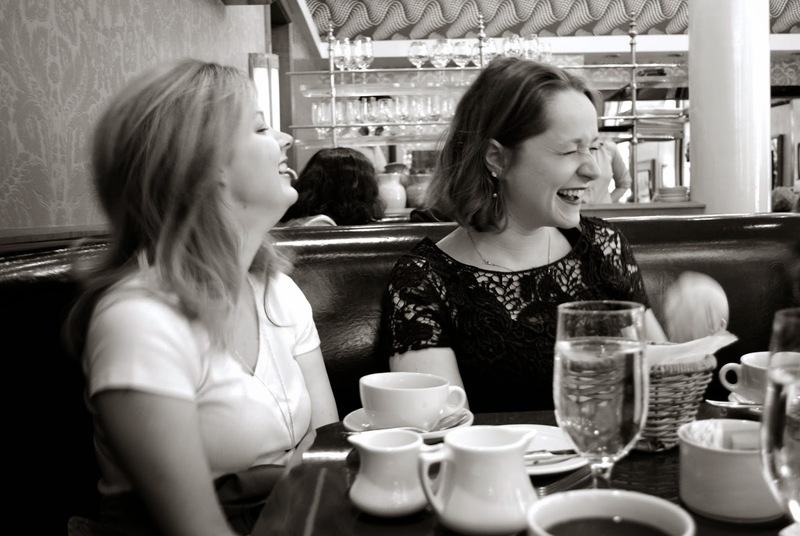 april 27 - loved these laughs at brunch. april 28 - thumbs up to homemade poptarts at culture on 38th street. april 29 - that lone pink umbrella made my day. Wow, the food and drink in the 4/24 photo looks delicious. Is that a blintz? And yes to colorful umbrellas! I saw one in Central Park a few weeks ago, also among darker ones, but not like this. Great eye!